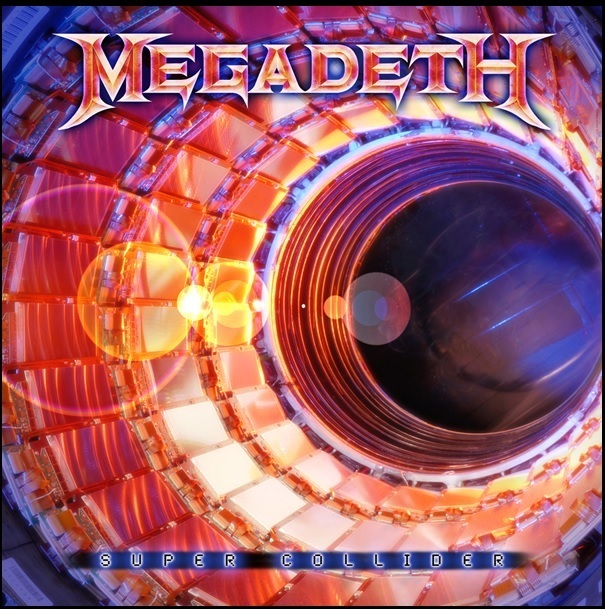 Hall of the Mountain King: Review: Megadeth, "Super Collider"
Even though I had no real anticipation or excitement for this record, I felt some sort of obligation to listen to it. 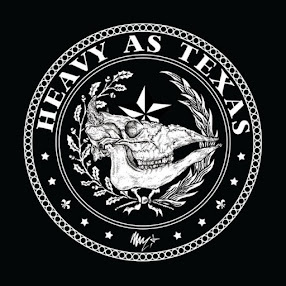 I’ve been a Megadeth fan since I first heard the bass line for “Peace Sells” way back when, though my enthusiasm for the band has certainly waned since the early 1990s. It’s been hard to hang with them through a series of albums that ranged from average to horrible and repeated comments from Dave Mustaine that the next album would have the intensity and energy of early Megadeth that have invariably led to disappointment. Those same comments came during the recording of Super Collider, and again, they lead to disappointment. Super Collider sounds pretty much exactly like the last three or four records. There’s nothing really awful on it, but there’s not a whole lot to get excited about, either. It’s safe in the style that Mustaine has settled into in the band’s late career, it takes no chances, and it’s kind of boring. In fact, the best moment on the album isn’t a Megadeth song at all, but a cover of Thin Lizzy’s “Cold Sweat.” It’s a very faithful version of the song, and the traditional metal vibe of it is better than any other sound on Super Collider. I also like Mustaine’s little growl on the chorus. It seems to be the most energetic and inspired performance to be found. Otherwise, there’s a slight twist here or there, but few that really make any of the songs pop out. The title track has a 1970s hard-rock feel on the chorus, but the rest of it sounds just like another latter period Megadeth song. The band tries to infuse a little blues rock into the opening of “Don’t Turn Your Back…” and it’s a pretty tasty little moment before the sameness begins. “The Blackest Crow” opens with a slow and dark bit of banjo, kick drum and fiddle that’s perhaps the most interesting few seconds on the record. Once it goes full-on metal, there’s a cool grit in the guitar riff. It’s easily the most intriguing tune on the record and maybe the only one that I’ll really take away from it, but the chorus and Mustaine’s vocals still often seem to miss the whole spirit of the thing. Mustaine’s single-note vocal delivery is a big part of the problem. Even when there’s an opportunity for something kind of cool, like on the chorus of “Burn!,” there’s not enough variation in the vocal to pull it off. It just kind of starts to drone after a while. Mustaine has an incredible guitarist in Chris Broderick, but he’s for the most part wasted on this record, as he never really gets to stretch out and go for it. The potential is there, but I think it may be a case of it being too much of the Dave Mustaine Show. There are a few worthwhile songs on the record aside from “The Blackest Crow.” The slightly progressive bent of “Beginning of Sorrow” sets it above the rest of the stuff on the record, and I like “Built for War,” despite the somewhat silly lyrics (another serious problem on Super Collider, and indeed, many Megadeth albums). Innovation and change has far too often been the kiss of death in the metal genre — sometimes deserved, sometimes not. But, at least for me, the refusal to innovate can be just as damaging. It’s the reason I haven’t been too excited about Slayer’s recent work, and it’s the reason that I’ve all but quit caring about Megadeth, both bands that I used to revere. I keep listening to their new efforts, hoping for that big, exciting record from Megadeth, but Super Collider just offers up more of the same.